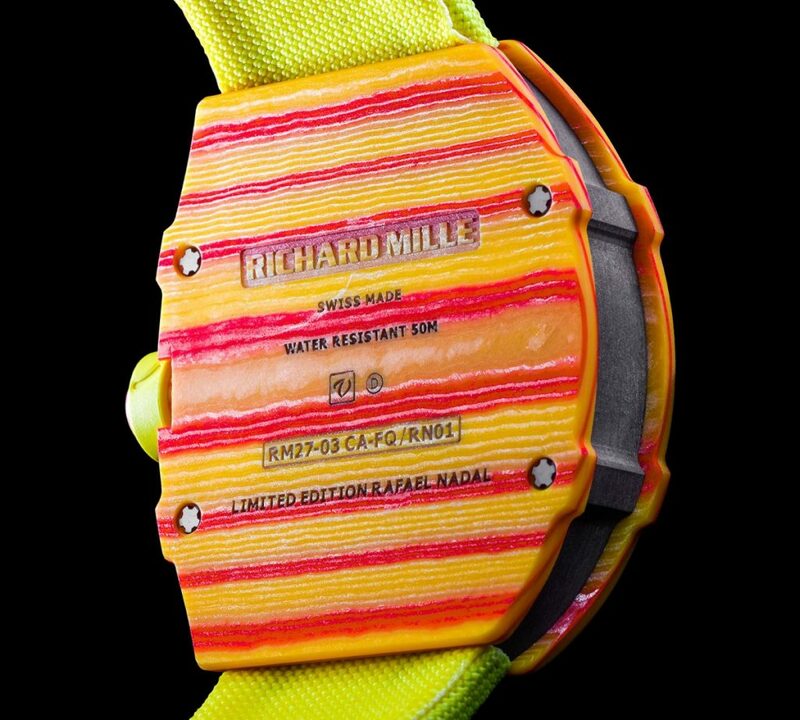 Richard Mille just Unveiled the 4th Edition ultra light “Rafael Nadal” Tourbillon, wow the most radical Richard Mille RM-27-03 I have seen. 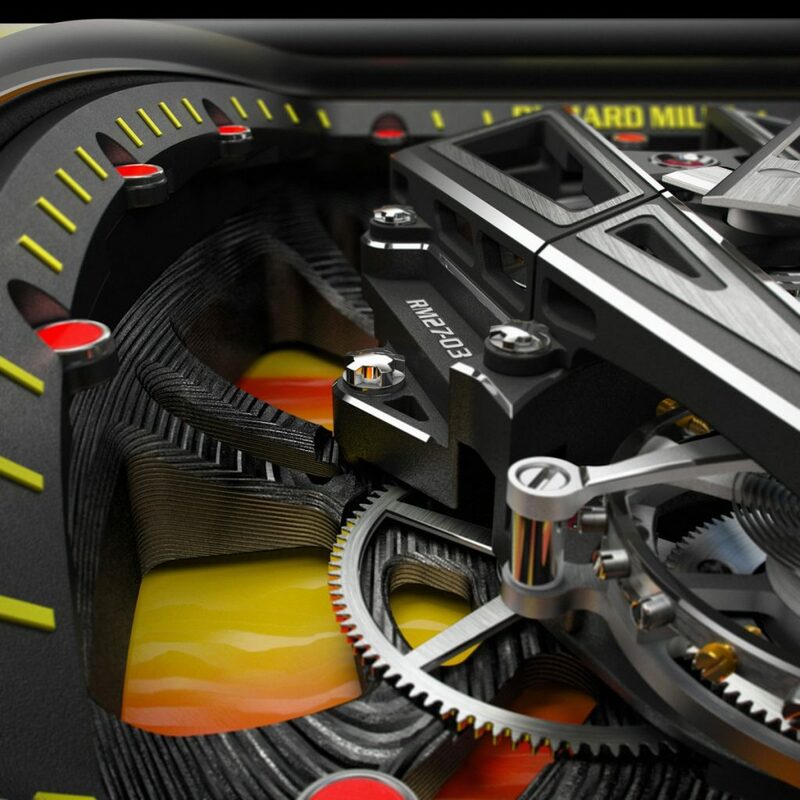 Richard Mille are fairly new to the watch game and are very expensive watches not for the faint hearted. 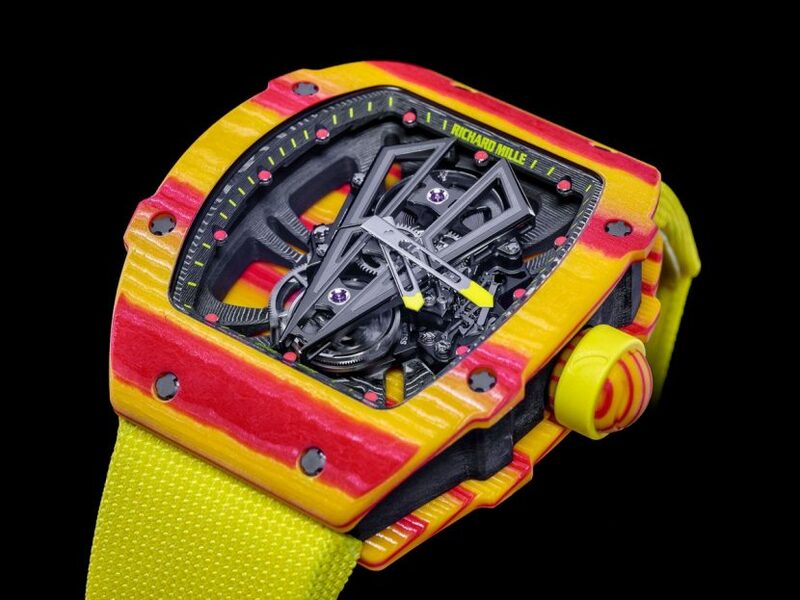 This one is in red yellow and shock resistant with a staggering price tag of $731,000, this is a limited edition of a run of 50 pieces in total. 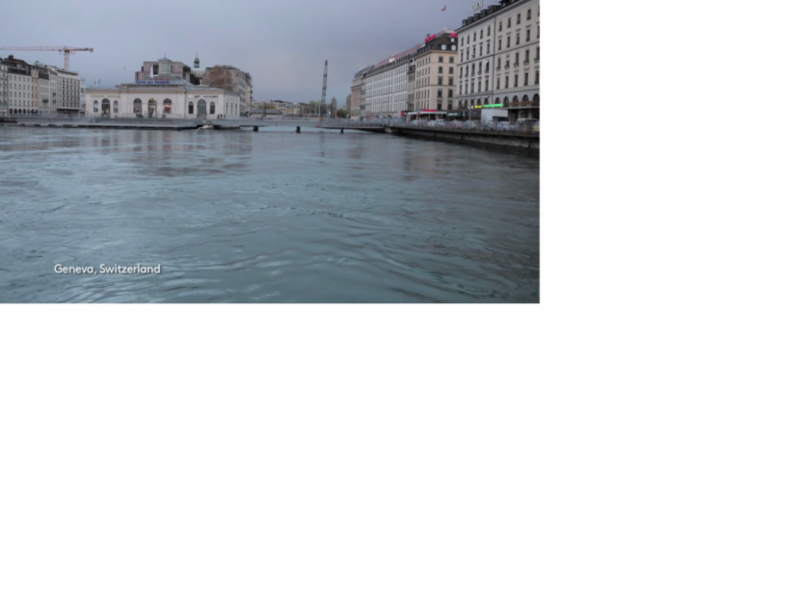 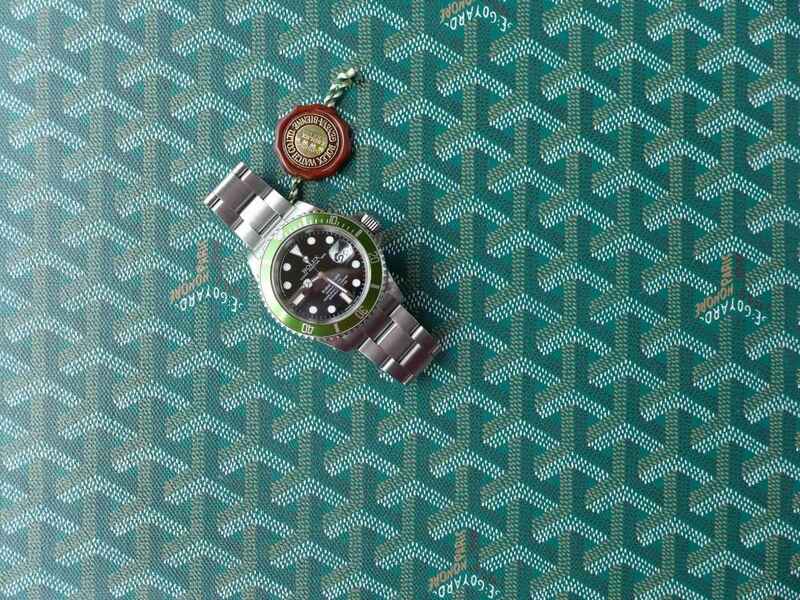 The watch has a 70 hour power reserve and is powered by Renaud & Papi Tourbillon movement which apparently are specialists owned by Audemars Piguet. 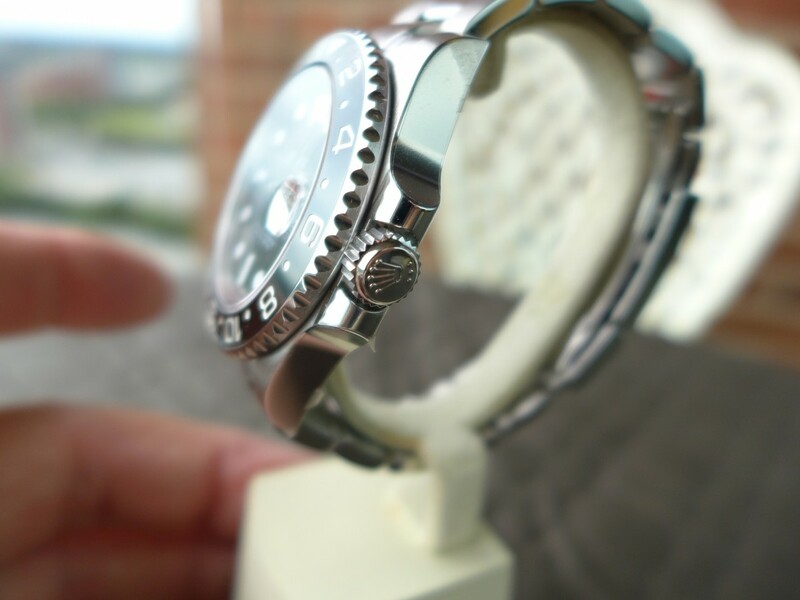 The watch is very hard to miss on the wrist definitely a difference to the norm. 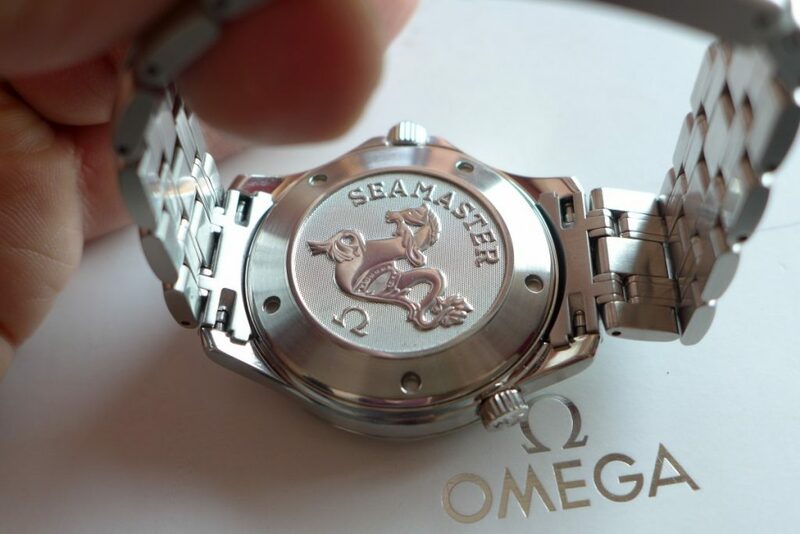 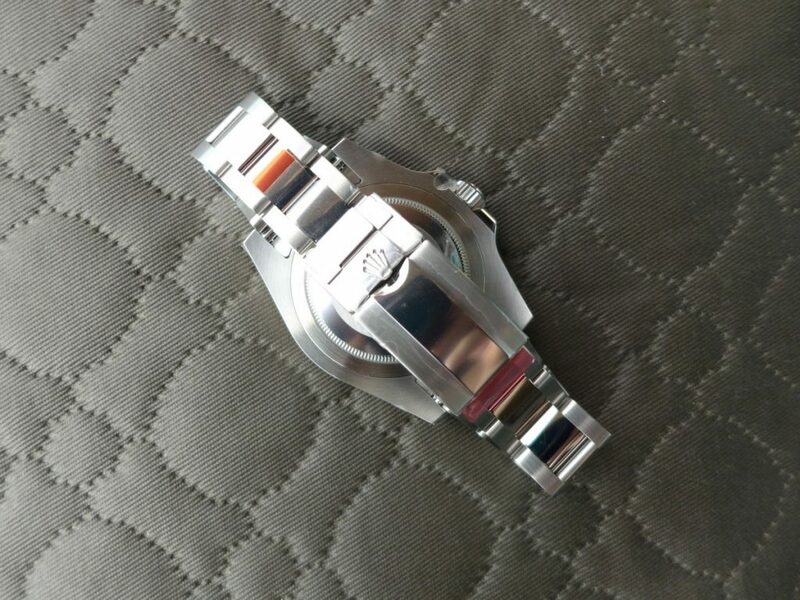 The watch case is made of quartz composite, size of the watch is 40.3mm wide and 47.77mm long so not a small watch and slightly bigger than the previous version RM 27-02 Nadal tourbillon. 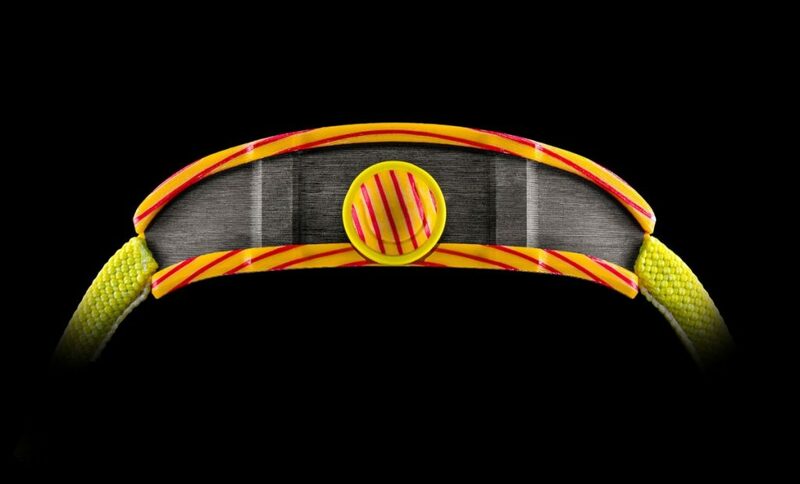 The crown has been designed like a tennis ball for the super star of tennis. 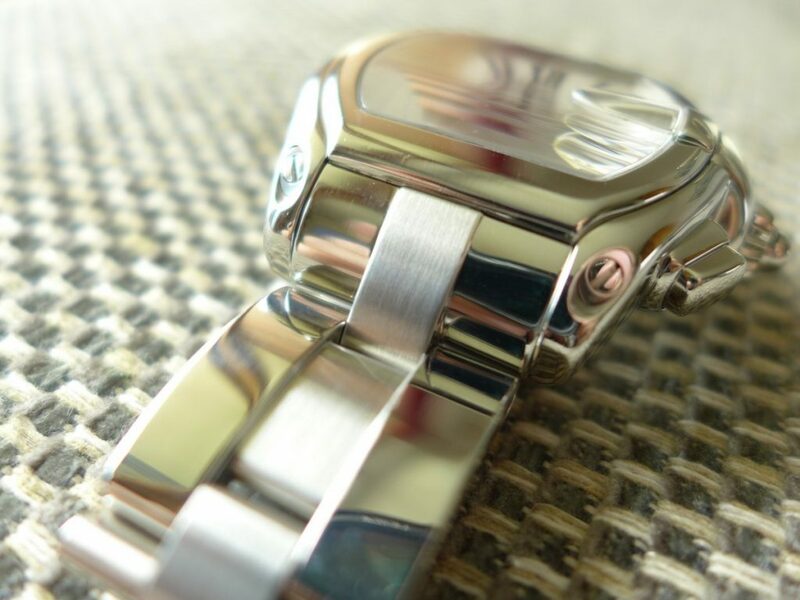 Rafael is left handed so always wears his time pieces on his right hand so the crown would be easy work with its design. 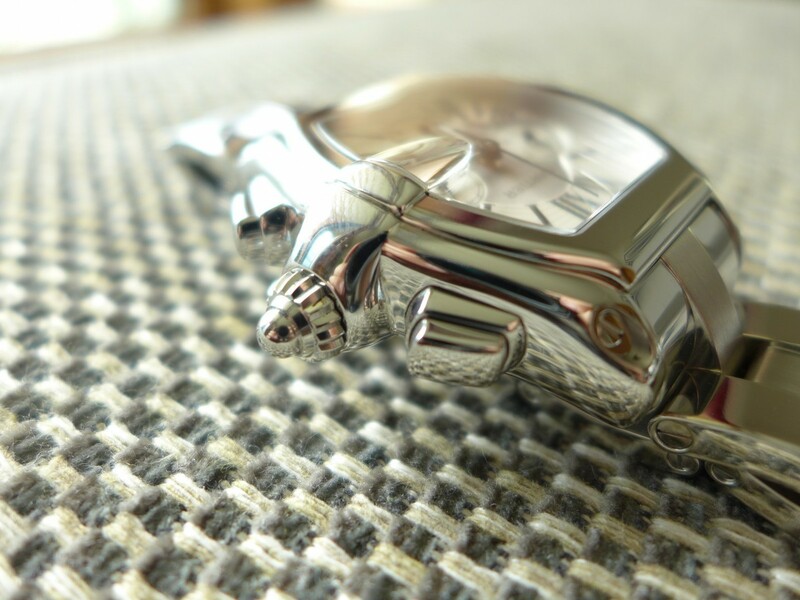 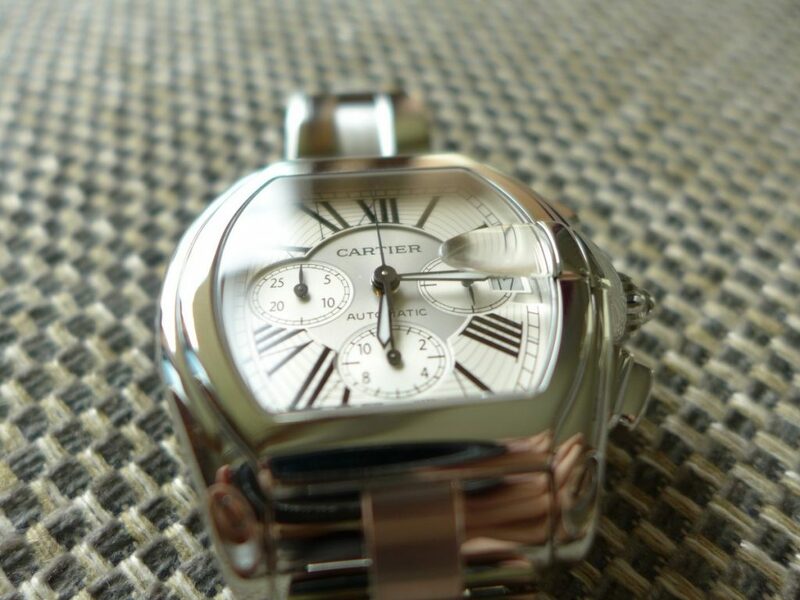 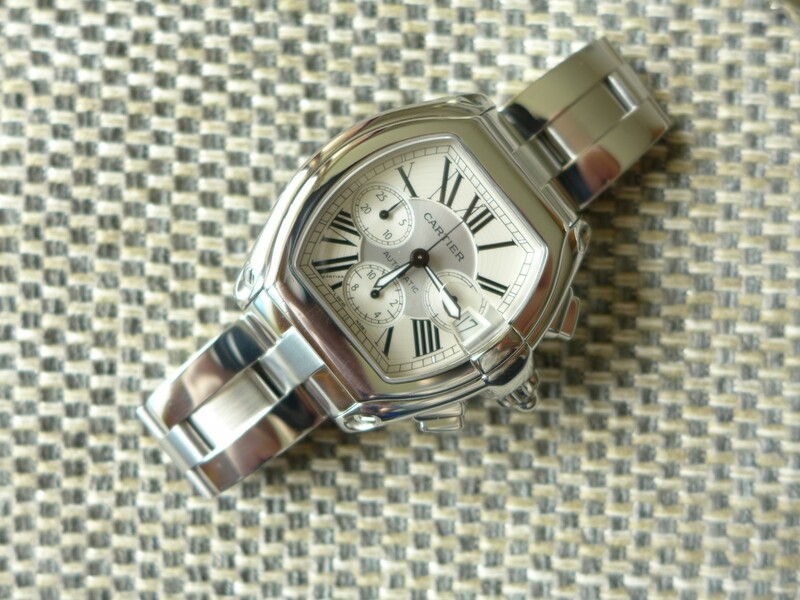 The Cartier roadster chronograph a big prestige lump of stainless steel, Cartier have been around a lot of years and make great prestigious timepieces, always admired the aesthetics of there watches. 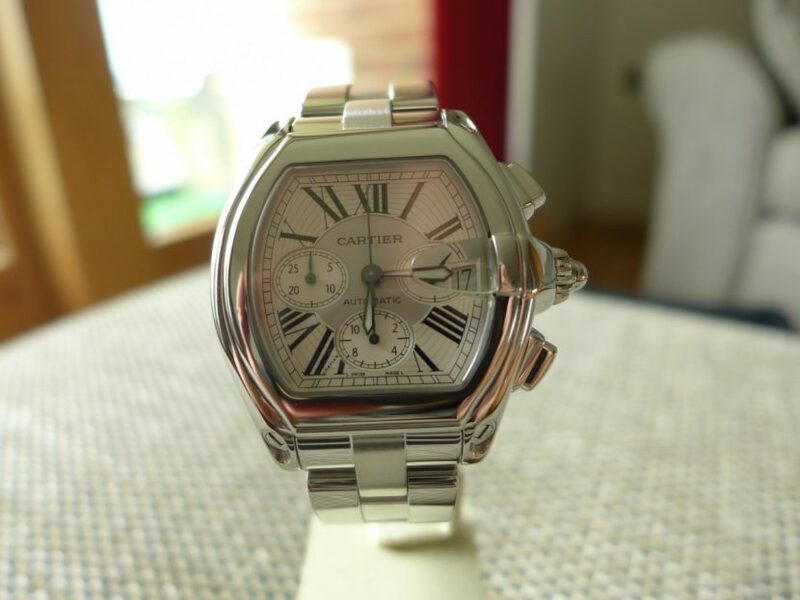 The roadster has a stunning white dial and comes in many variants this particular one has a chronograph movement and stop watch function with the Cartier Cyclops at 3 clock and which is uniformed in the glass not like Rolex were the plastic cyclops is stuck on! 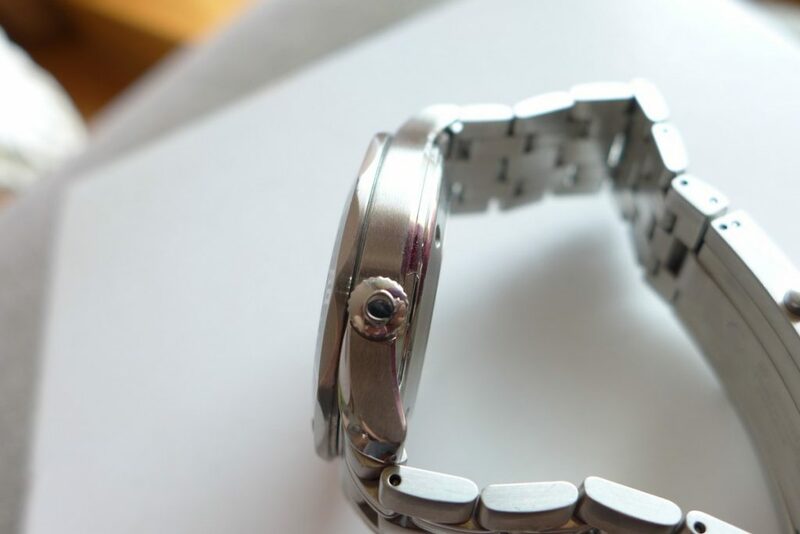 This is a very dressy watch elegant in every way with an simple interchangeable strap system to change from stainless steel bracelet to a rubber or leather on a deployment clasp to change the look for your mood. 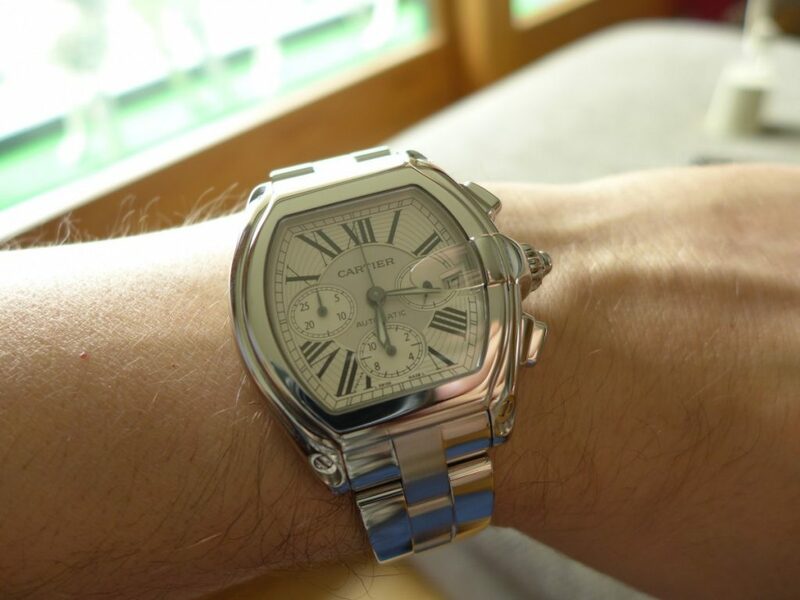 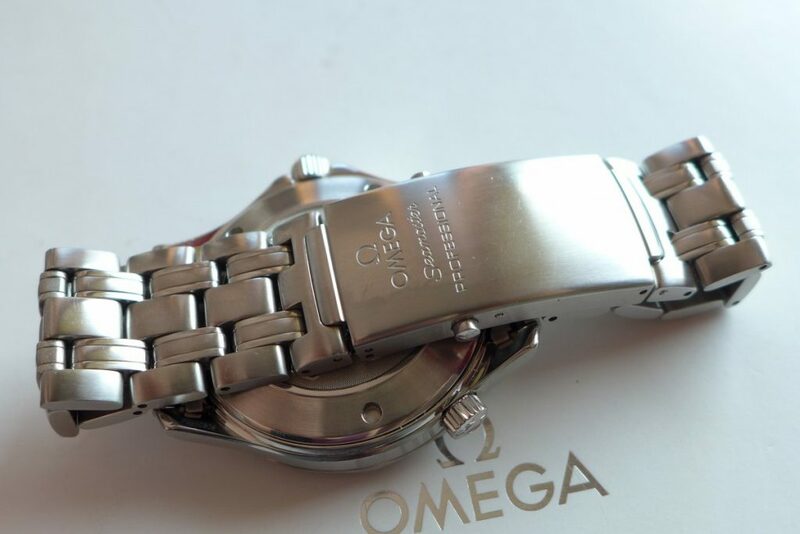 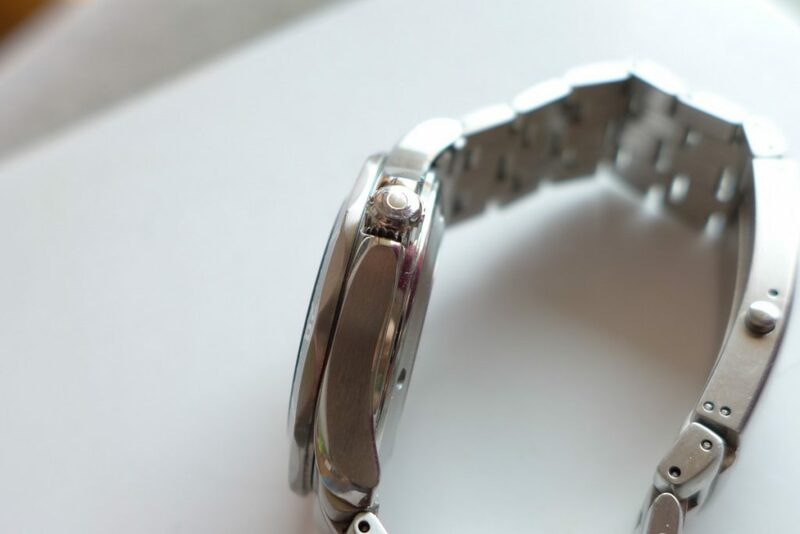 The roadster I found has very heavy on the wrist may just my small wrist but to summarize a great watch with elegance for the money with simple easy strap changing. 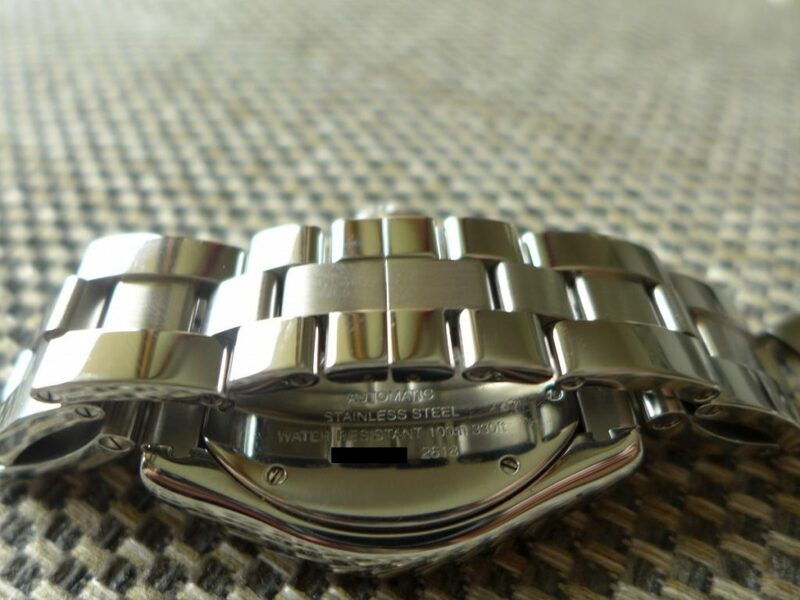 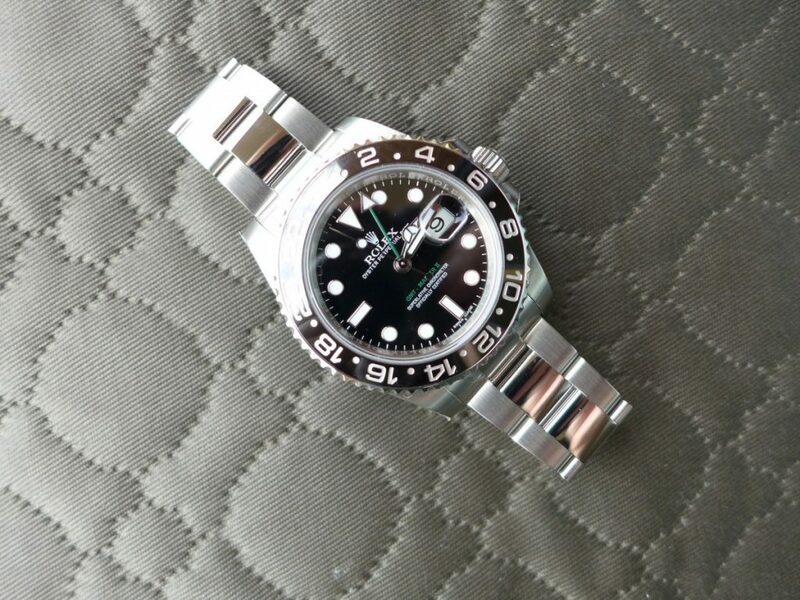 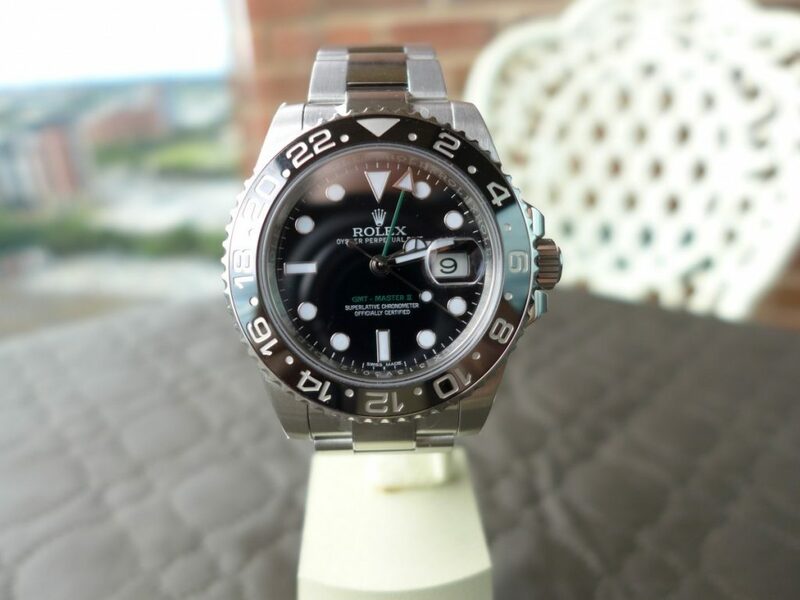 Here is my latest acquisition A Rolex GmtMaster II Ref: 116710LN this particular model I feel is one of Rolex’s nicest looking stainless steel watches in my opinion it is just stunning the black and white ceramic bezel mix with the polished centre links. 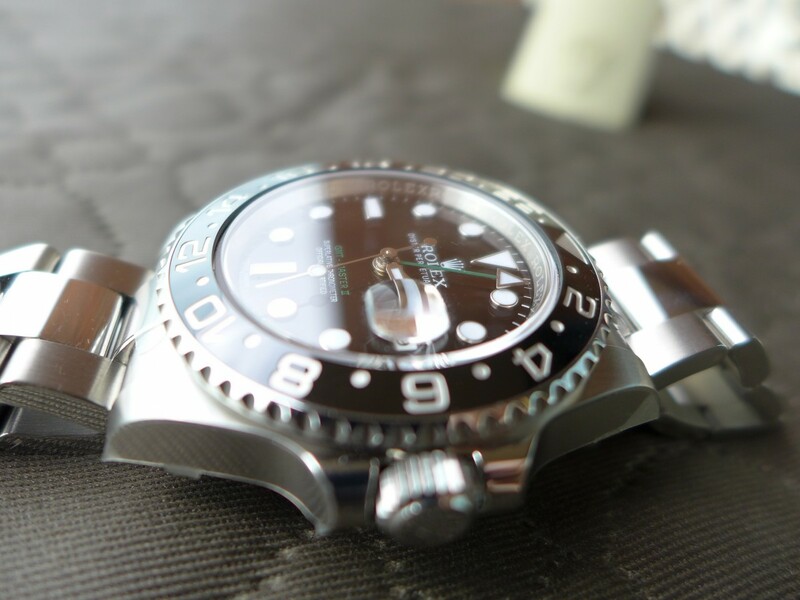 The black dial with big hands and plots with a green Gmt hand go well together. 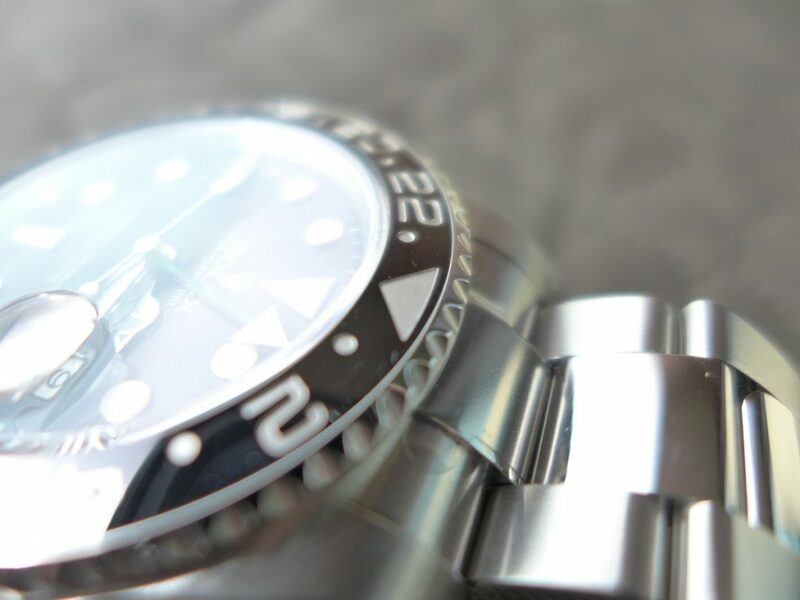 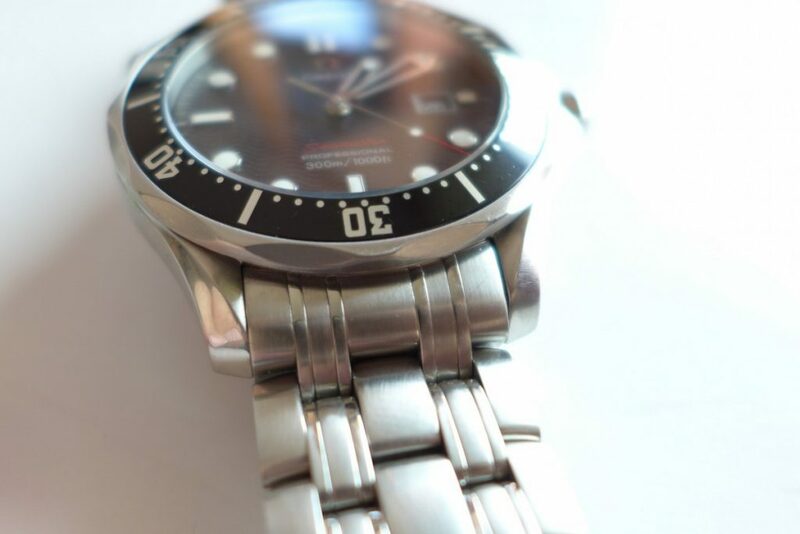 I have had a fair few stainless steel models and the Ceramic Submariner is definitely top on the sellers as all round tool dive watch, but the Gmt is a little classier as all round daily wearer casual and dress. 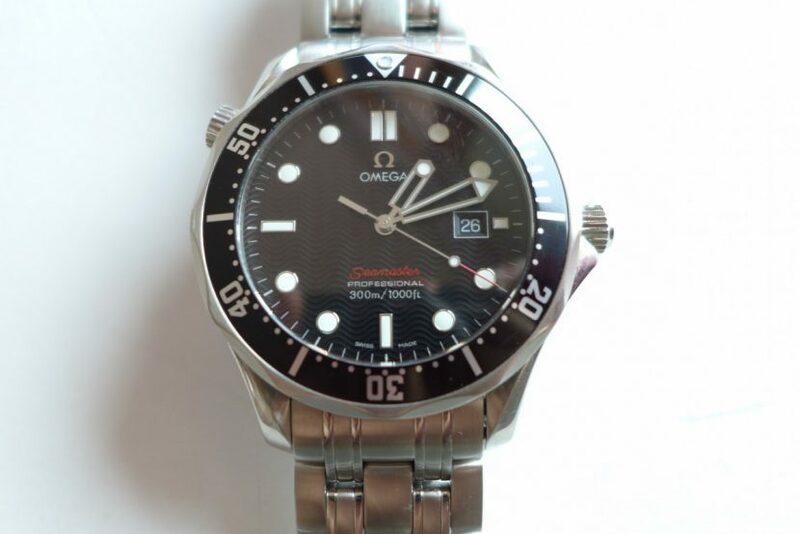 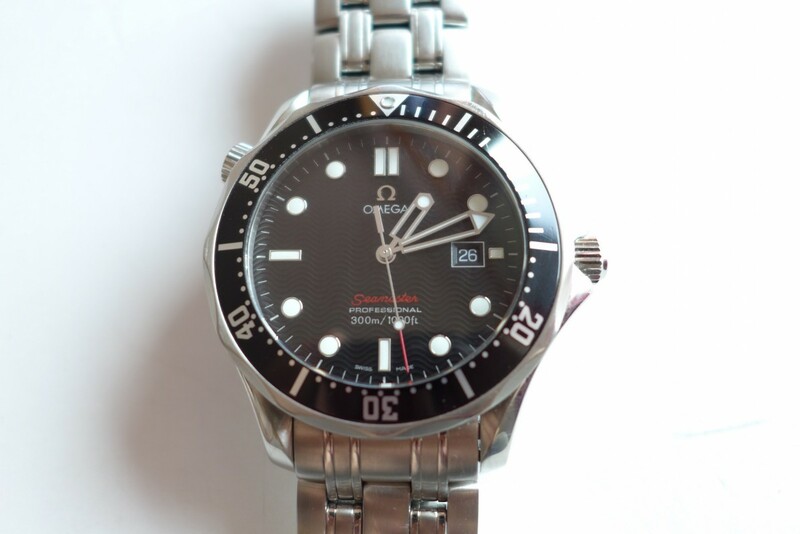 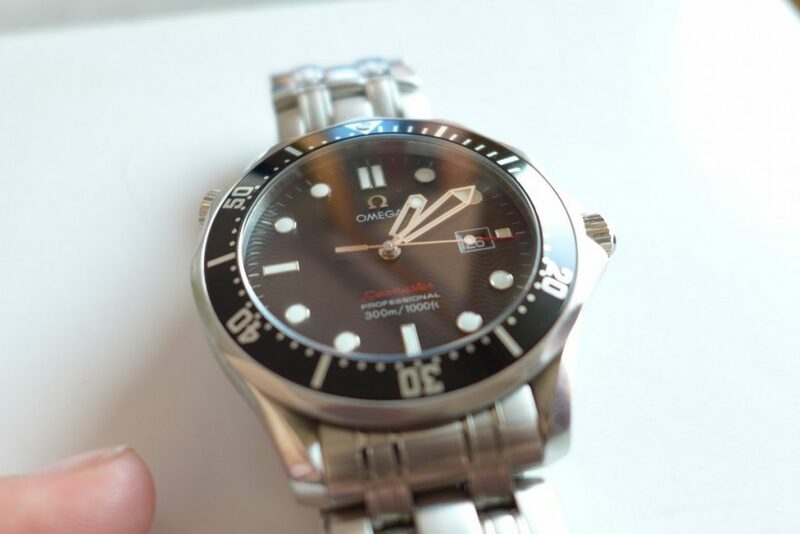 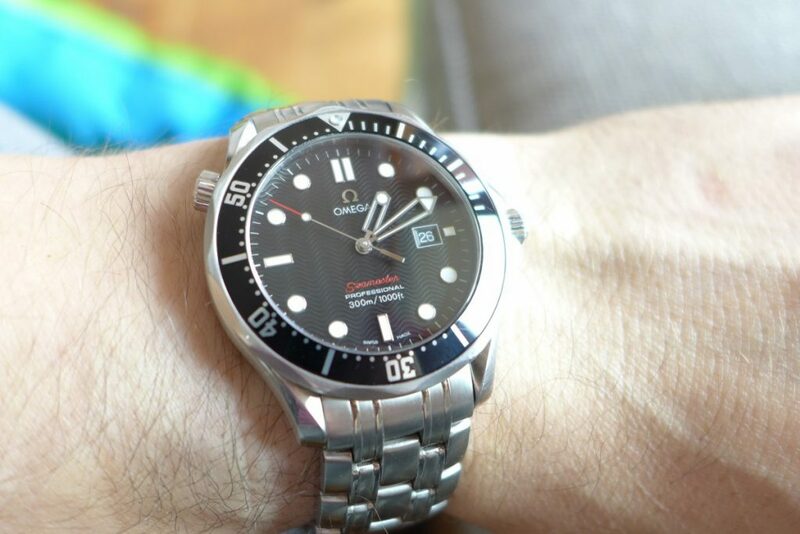 This is a keeper in my eyes not taken the watch off since purchase do not think I will part with this one also as second hand purchase will not be beaten for value.